If you’re looking for a super rich, super decadent whipped body butter, you’ve come to the right place! 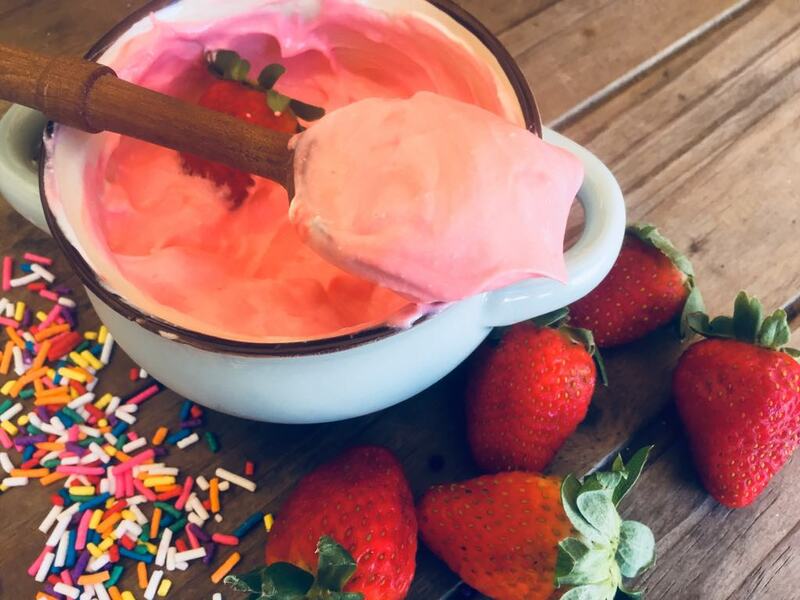 This whipped strawberry body butter recipe will seriously make you drool just from the smell alone! 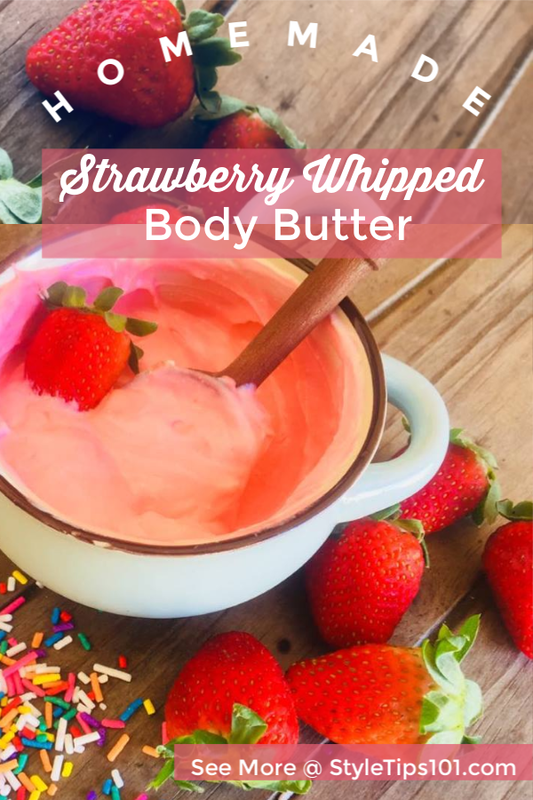 Made with natural ingredients, this thick and luxurious whipped strawberry body butter will hydrate even the driest of skin! Safe and gentle enough to use daily, this body butter requires simple and minimal ingredients that you can easily find online or at your local health store! In a double boiler, melt the shea butter and cocoa butter together. Stir in almond oil and coconut oil until all are melted. 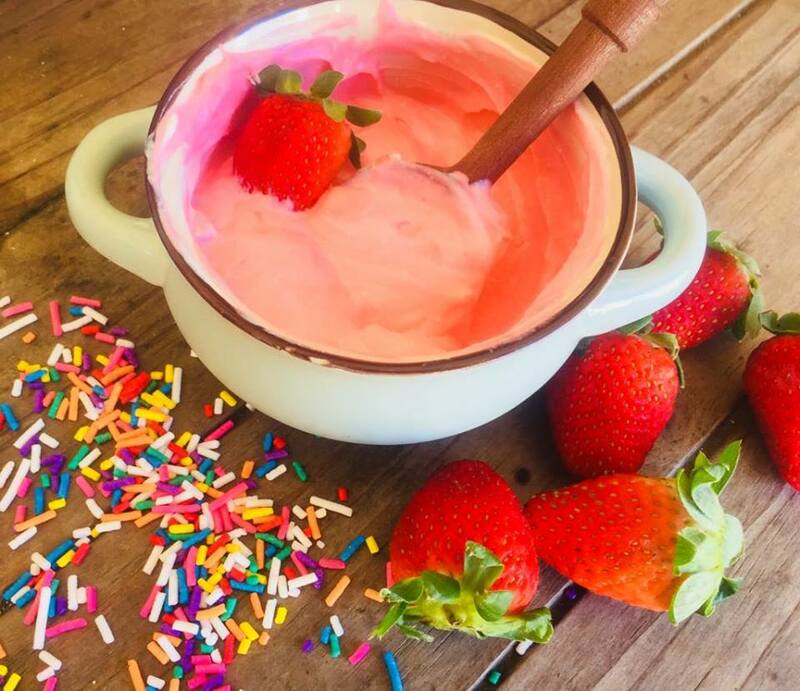 Stir in strawberry fragrance oil and strawberry seed essential oil. You can definitely play around with the fragrance amount – it’s up to you how potent you want to make it! To get that nice, whipped consistency, use a hand mixer to whip up your body butter until stiff peaks form. Please note that depending on the temperature of your home, the body butter may either melt or harden. If your body butter hardens, simply wrap a warm towel around the container for a few minutes. Then, beat the mixture once more. If the body butter melts, or flattens out, place in the fridge for an hour or two and beat again. As with any DIY recipe, feel free to use your own, favorite essential oils and fragrances!